Use this pattern to make any type of curtain you will ever want or need! 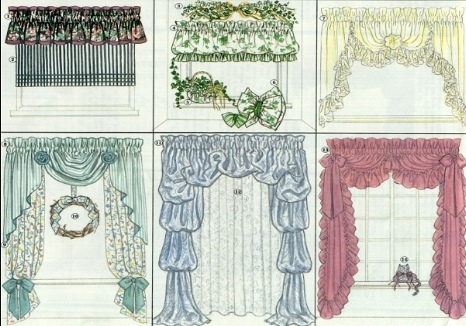 A great basic that includes patterns and ideas for 6 curtain designs plus all the little accessories to go with them! This pattern comes on nice, sturdy paper in a large 9x12" printed envelope.